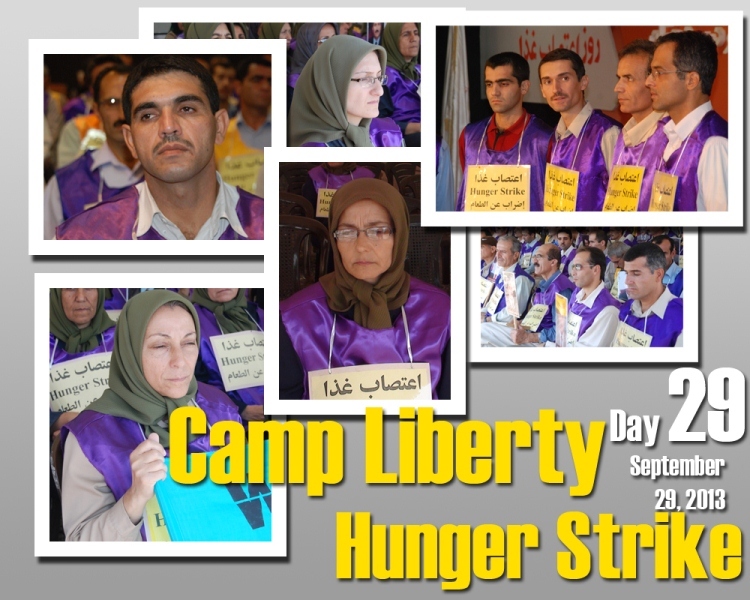 Today is the 29th day of the Liberty residents’ hunger strike. Today 46 of the hunger strikers suffered from cramps, dizziness, dimness of sight and hearing, and digestive problems. Twelve of them were taken to the Iraqi clinic inside the camp.